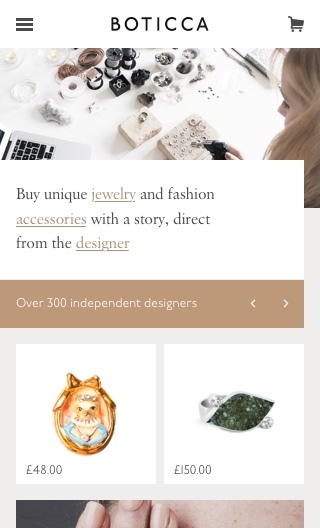 Kiyan, the founder of Boticca met a jewellery designer from the Atlas mountains who would travel to the souqs in Marrakesh three times a week to sell her jewellery. 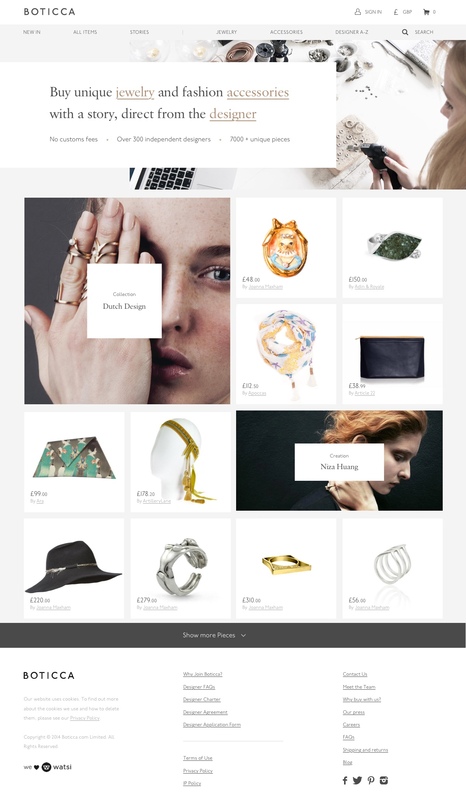 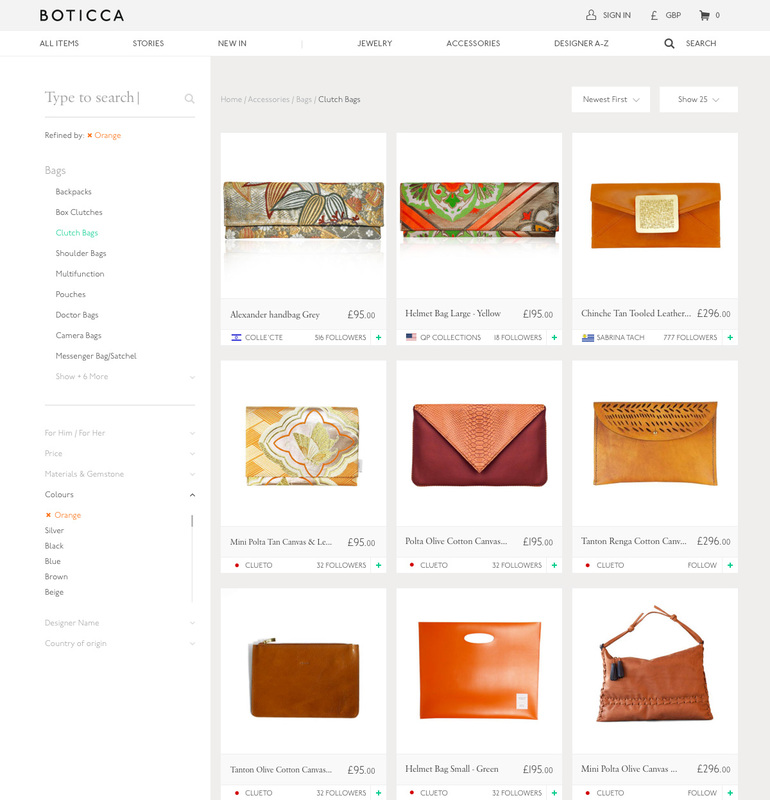 Boticca aimed to launch a retail marketplace for designers all over the world to sell their pieces on a global scale. 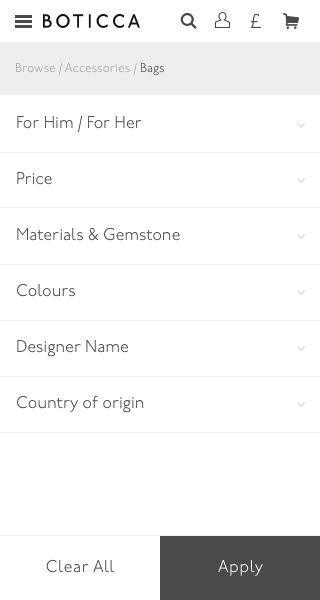 Working closely with the head of product, I was involved in overhauling the UX and UI on site, from applying the site to a responsive column grid and refining he typography to re-structuring the user checkout flow. 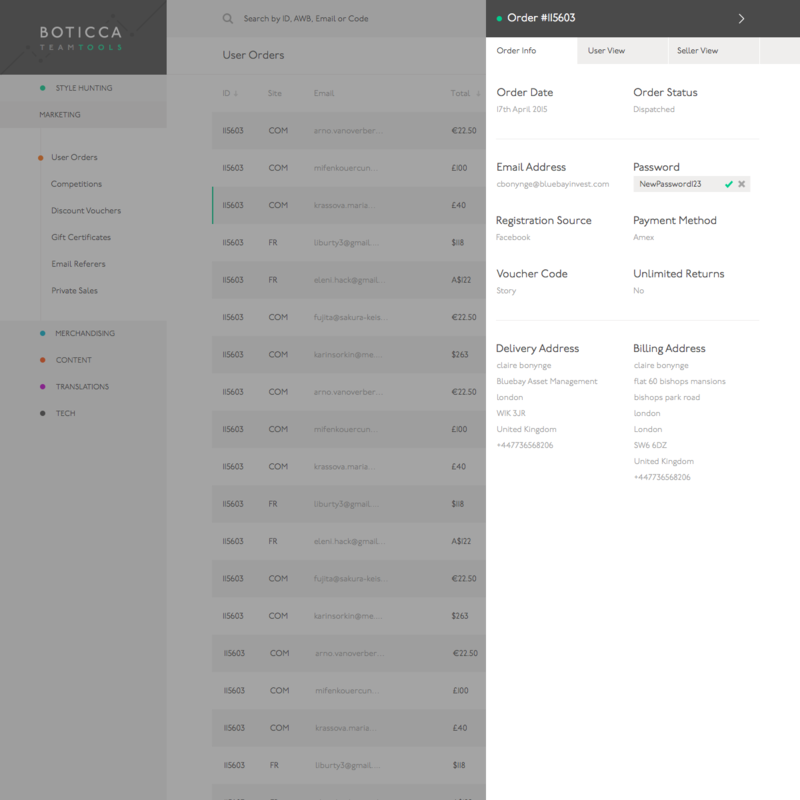 In addition to improving the front-end, myself and the product team also set up Boticca Team Tools, an app which would allow the logistics staff to track orders, issue refunds and message customers directly. 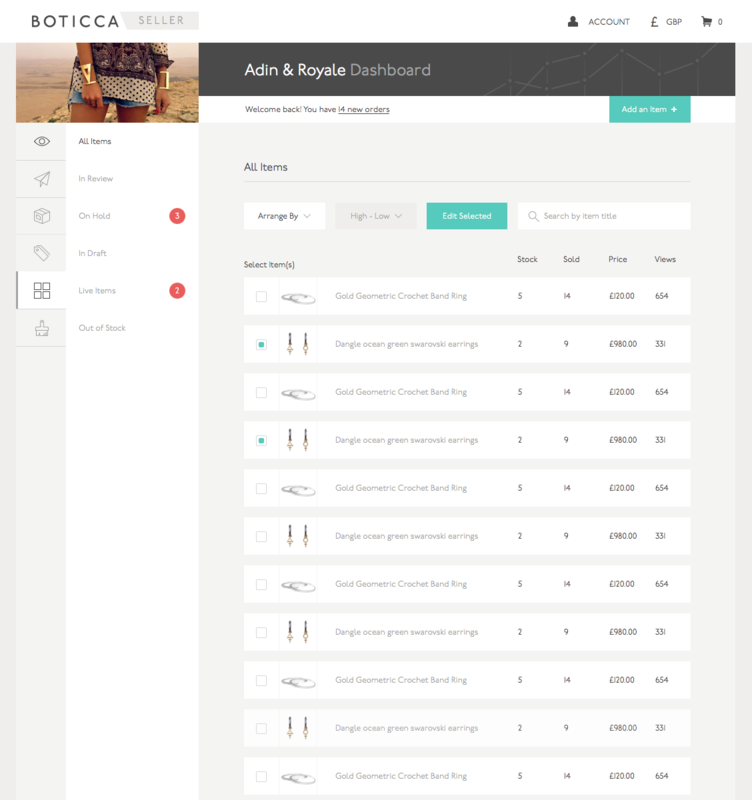 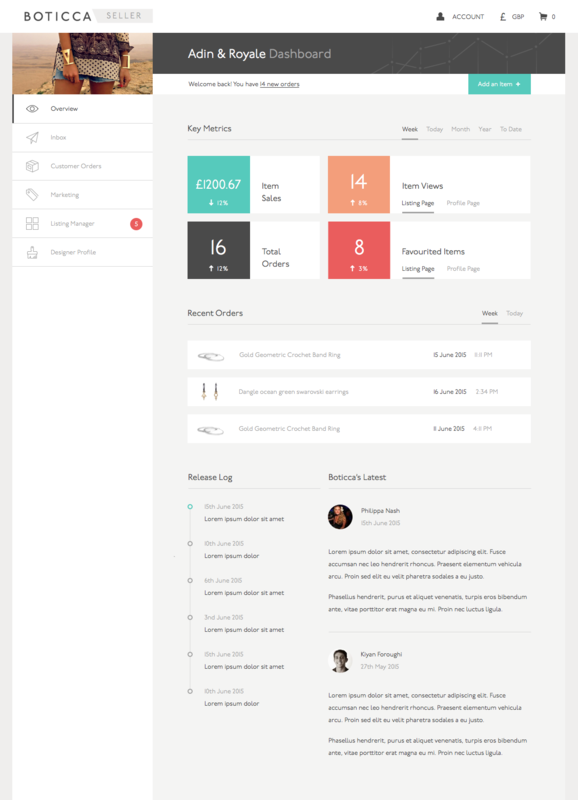 During this time, I also completed a full redesign of the seller dashboard. 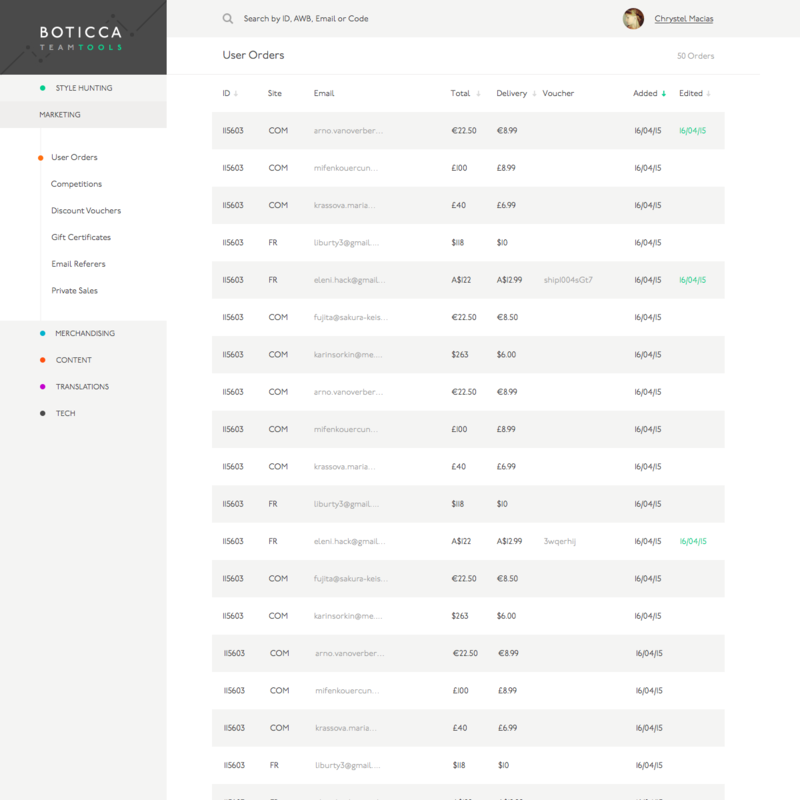 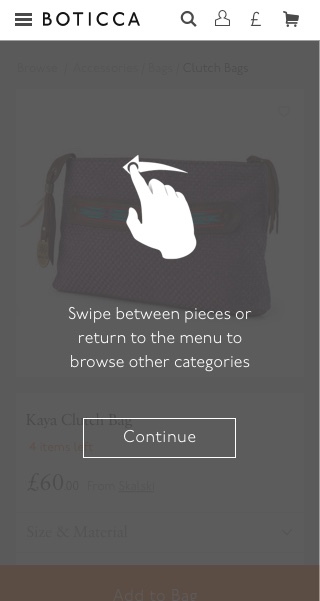 A rich web app which allowed sellers to upload product imagery, pricing, write their own content and launch it live on their Boticca store without the need of a moderator.